The famous “Caminito del Rey” is due to open this spring and it will be free to access the first three months after its opening. El Caminito del Rey is an air path built into the walls of the Gaitanes Gorge in Southern Spain, in the province of Malaga. It starts in the district of Ardales, passes through Antequera and it ends in El Chorro, close to Alora. This path is one of the most impressive and dangerous mountains trails in the world. If you love hiking and are brave enough, this is a must experience for you as its one of the world’s scariest hiking routes. However, the original path before its restoration was very risky and dangerous across the sheer rock-face, now that is restored is one of the most spectacular walking trails in Spain and is not only for professional climbers as anyone who loves adrenaline rush and adventure can do this. The hike is worth it as you get breathtaking views from the top. We have waited a long time for the restoration of the Caminito del Rey, but now is almost complete as this spring will be its opening. After 25 years of being closed to the public, it will receive hundreds of visits from locals and tourists who anxiously awaited the restored path. This unique location will open in February 2015, with free access during the first three months after the opening. This was announced few weeks back by the president of the council of Malaga, Elijah Bendodo, during his visit to the works at the place. 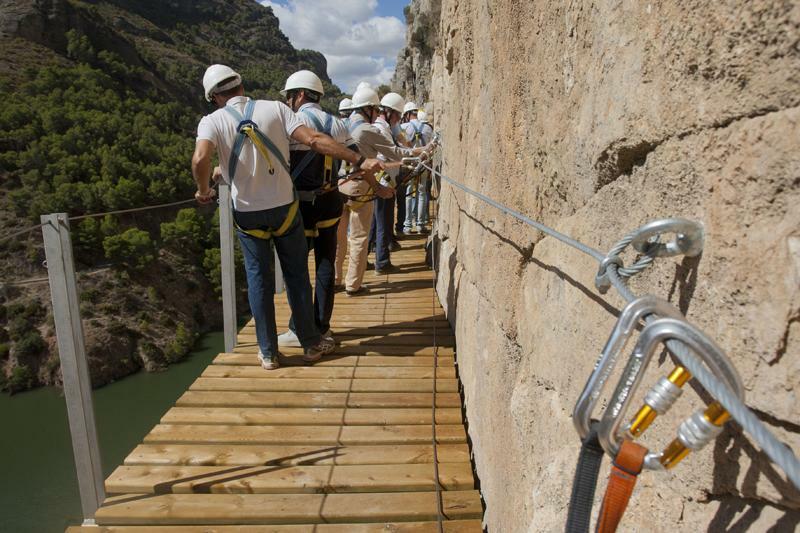 The sensational Caminito del Rey, whose opening is now just weeks away, is now being acknowledged internationally, attraction tourist experts worldwide. It is a great addition to the value of Málaga and Costa del Sol, as Malaga is usually just known for the sunshine and beach holidays but now can be known as well for rural and mountain type of tourism. 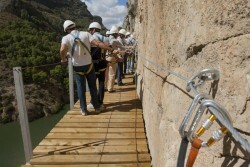 The Caminito del Rey is basically one of the must do experiences for hikers this year.